In Cameroon’s port of Douala, corruption, bureaucratic red tape, overpriced services and a growing backlog have combined to put a major drag on cargo trade through central Africa’s largest harbour. More than 95% of Cameroon’s maritime traffic transits through Douala, a sprawling hub that serves as the main gateway for landlocked Chad and Central African Republic. But the procedures for clearing goods are a permanent headache, and very little gets done without greasing palms with extra cash, traders say. “There is high-level corruption at Douala port,” says one businessman as he slips a 1.50 euros note to the ticket seller at the entrance – a quarter of the official entry price. Bribes are just one of the obstacles to moving cargo at Douala port. The procedures are interminably long and costly and due to a lack of investment its infrastructure has degraded. “To take a car out of customs, for example, you have to get between 20 and 22 different stamps,” says a port employee who asked to remain anonymous – for each stamp, a bribe has to change hands. On top of that, there are rapidly rising formal costs. “A car that we cleared a year ago for 850 000 CFA in charges would now cost 1.3 million,” explains the businessman who bribed the man at the gate. The World Bank has noted the remarkably long time taken to move goods through the Douala – an average of 16 days according to an expert mission in March last year. The team said this period was “an eternity compared, for instance, with the port of Lome in Togo, where the delay is two days”. For Chad and Central African Republic, Douala is the nearest gateway for a stream of hauliers supplying the capitals of N’Djamena and Bangui. Due to the red tape endured by the freight transporters, some are now considering the idea of “going through other ports in the West African subregion”, Chad’s ministry of infrastructure warned in a recent statement. In Douala, “our lorries are often blocked for many weeks at the port before being able to get on the road”, Ali Abdallah Youssouf, head of Chad’s national council of importers, exporters and freight forwarders, told AFP by phone from Libreville. A survey conducted for the World Bank in 2011 noted that customs “sometimes rightly” took much of the blame for delays in clearing containers and other cargo, but pointed out that many other agents were involved, from shippers to sanitary services. Such delays are “catastrophic” for most businesses, stated a businessman from Central African Republic who has to work through the Cameroonian port. “By holding the goods” the terminal managers “earn more money than they do in handling them,” particularly when it comes to wood, a valuable commodity in central Africa, he said. Since 2004, the container terminal has been managed by Douala International Terminal (DIT), a subsidiary of France’s Bollore Group. Another of its subsidiaries, SEPDC, manages the wood terminal. And it is through these two terminals that around half of the port’s merchandise has to pass. But it has not gone unnoticed by the authorities themselves, with the port’s Director General Cyrus Ngo’o warning last month that a singular lack of investment had caused a “marked degradation” in its infrastructure. His remarks were made in a pointed letter addressed to the transport ministry, a copy of which was seen by AFP. The port, he wrote, was initially built to cope with an average “seven million tonnes of merchandise” per year, while today it handles 12 million tonnes – which was putting major stress on its limited infrastructure. “Since 1980, there has not been any major investment to expand its ability to accommodate vessels and process their merchandise,” he wrote. In February, France’s Rougier Group, which trades in tropical timber, said its business was suffering from the “chronic backlog” at Douala port, which was affecting its Cameroonian, Congolese and Central African subsidiaries. 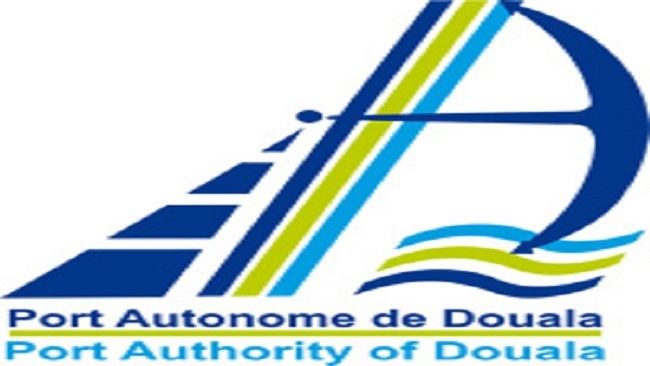 But Ngo’o hit back, saying Douala could not be held responsible for Rougier’s failings since the port’s “logistical operations for international trade were proceeding as normal”. Despite his fighting talk, Ngo’o’s letter admitted the port was facing “an unforeseen situation in which its operations were experiencing a decline in fluidity”. “This situation is having a negative impact, notably on the speed of handling the exports of Cameroon’s main cash crops such as coffee, cocoa and wood,” he wrote.